The About a Lounge Sofa for Comwell by Hee Welling enlarges Hay's succesful collection which began with the About a Chair. The chair became a modern design icon and the whole series grew, becoming a remarkable range of furniture. The compact size of the About a Lounge Sofa for Comwell is especially suitable for small homes and rooms. Hay offers the sofa in different versions: The legs made of oak wood are available in soaped, black stained or painted. The sofa’s upholstery is available in leather or in a number of Kvadrat-fabrics. 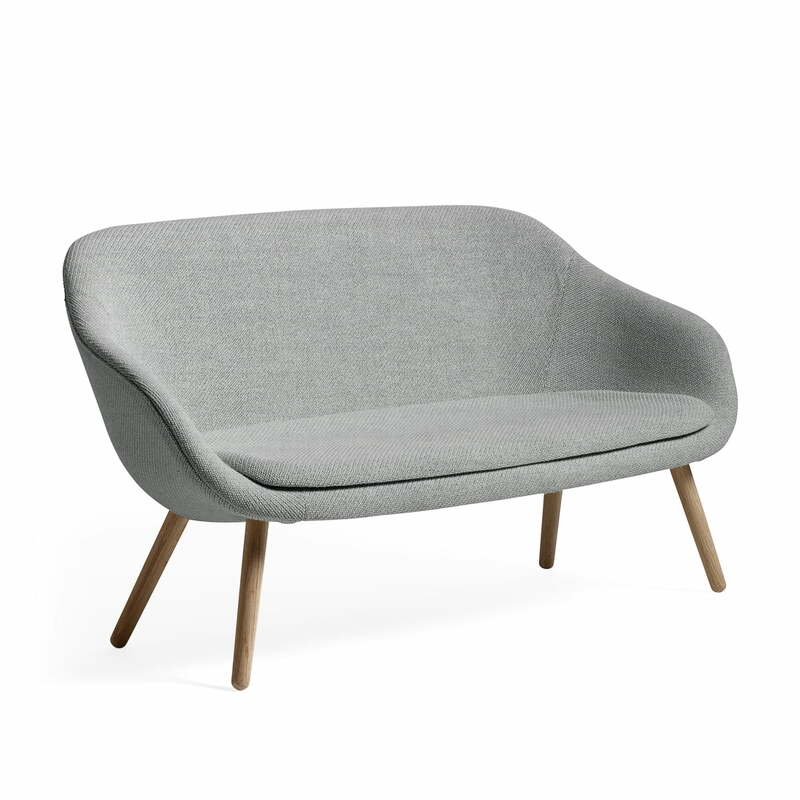 Single image of the About a Lounge Sofa for Comwell by the Danish manufacturer Hay. 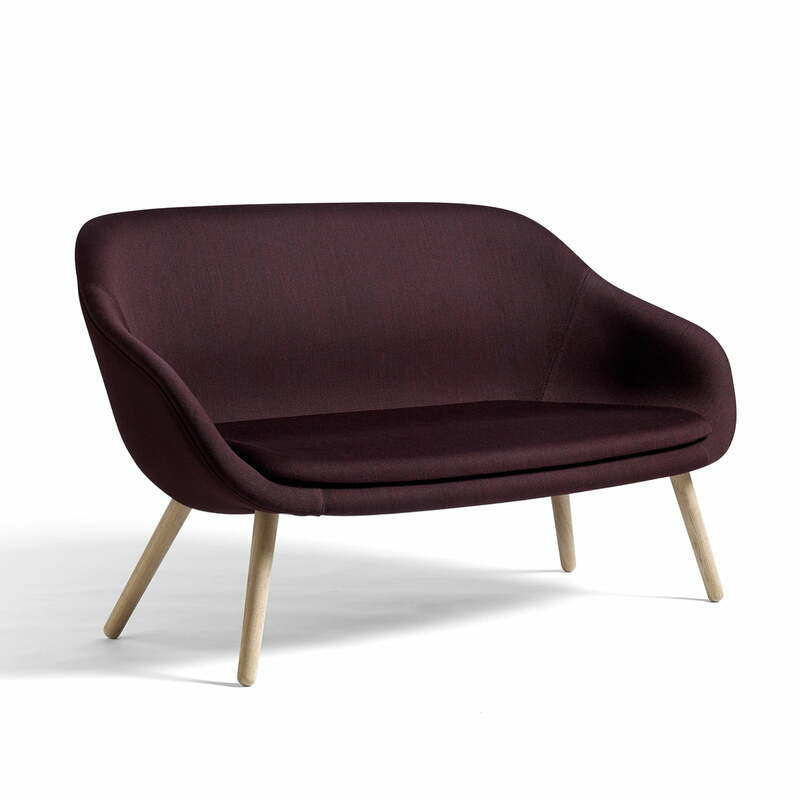 This sofa has a base in soaped oak and the fabric Remix 123 by Kvadrat. 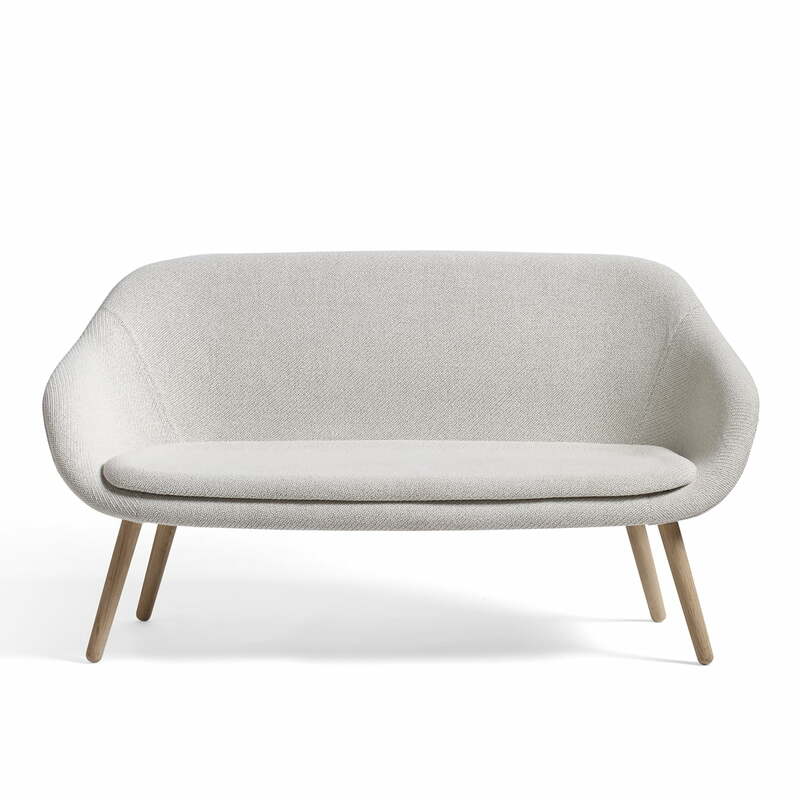 Single image of the About a Lounge Sofa for Comwell by the Danish manufacturer Hay. The compact size makes the About a Lounge Sofa for Comwell especially suitable for small apartments and rooms. Single image of the About a Lounge Sofa for Comwell by Hay. The modern collection was originally designed for the Danish Hotel chain Comwell by Hee Welling.